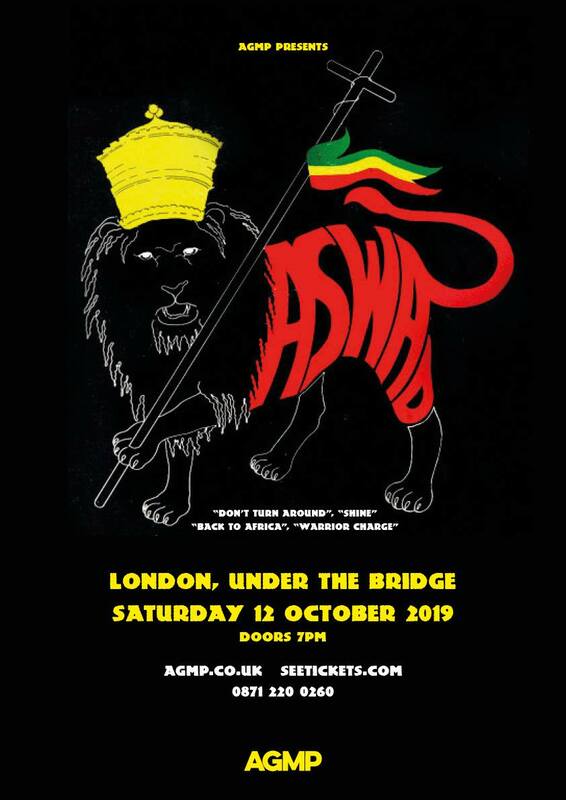 British Reggae Legends ASWAD have announced a London date at Under the Bridge on Saturday 12th October 2019. Formed in the late seventies Aswad (band), along with UB40, quickly became one of the most important Reggae artists to ever emerge from the UK. Early hits such as “Warrior Charge”, “Back to Africa” & “Three Babylon” established the band a massive following culminating in a UK number one hit with “Don’t Turn Around” in 1988. The band continued their assault on the UK pop charts with tracks such as “Give a little love”, “54-46 was my number”, “Shine”, “Shy Guy”, “If i was”, “Beauty’s only skin deep”, “Set them free”, “Best of my Love” & “Share a dream” amongst many more. Aswad have worked with The Wailers, Sting, Vanessa Mae, Janet Kay ‘Queen of Lovers Rock’ & Jah Shaka Official.